Long-term care professionals across the country write or participate in writing care plans for thousands of nursing home and rehab residents each day. The care plans must be thorough, yet brief enough to be useful. They must be comprehensive and individualized. They must be up-to-date and comply with current standards of practice, state and federal regulations. It’s no wonder that the care planning process is often frustrating and time consuming. Experts and consultants give conflicting information at times, and trying to predict what a surveyor will like or dislike feels like a guessing game. Should we use “I” (first-person) care plans? Should we use columns or write a narrative? Should anyone ever use “canned” care plans? What’s the best reference book for writing care plans? These and similar questions crop up frequently on the LTCNN (Long Term Care NurseNet) discussion group, which is operated by AANAC (the American Association of Nurse Assessment Coordinators). There are usually multiple opinions about the answers, and probably no one “right” answer for any of them. 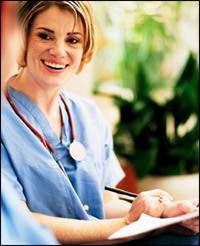 It is clear that nurses and other LTC professionals find writing care plans to be difficult. One common problem is a lack of resources. My first MDS job was literally the first time I had ever laid eyes on an MDS assessment. It was the first time I had written care plans since nursing school. 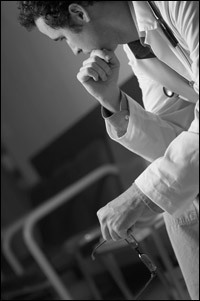 Many NACs find their way into the profession in a similar way. They find themselves in an office (often a converted broom closet or bathroom) looking at a computer, and waiting for inspiration from somewhere. Most MDS software includes some sort of care planning module, but the libraries can be limited and/or poorly written. The NAC may look for reference books and be overwhelmed with choices and with the costs involved with purchasing a care plan reference book. Some reference books cost over $300, and it can be hard to convince administration that there is room in the budget for that purchase. Hand in hand with the lack of resources is a lack of education or experience. Those NACs who were working on a med cart last week and sitting in an office this week don’t just spontaneously generate knowledge. There are very few people who carry an encyclopedic body of knowledge around in their heads, just waiting for the chance to spout it into a care plan. Few people enjoy researching obscure (or common) disease processes and situations, just in case they ever need a care plan for, say, rhabdomyolysis or Kawasaki syndrome. Another problem is time constraint. Many NACs have very busy workloads. They feel as though they are constantly running and never quite “caught up” with work. They sit at the computer and toss off a care plan that is perhaps not as individualized as they would like, and plan to make it better next quarter. The pressure of keeping up with multiple daily admissions and federally mandated deadlines can lead to care plans that are less than ideal. It can be difficult to find a balance between being individualized and resident-centered without being so specific it sets the facility up for citations. NACs may struggle with wording the approaches so as not to set an impossible standard for the staff. For example, an approach might be written, “Apply hydrocolloid dressing to right trochanter wound as ordered. Change every other day.” This approach was correct as of the day that the care plan was written, but by the time it was reviewed (by a surveyor or auditor), the treatment had changed or the wound had healed. One care plan resource that I have read had a goal that read something like, “Resident will be clean and dry with incontinence care less than 30 minutes after each incontinence episode.” While this sounds reasonable and measurable, it is very nearly impossible to accomplish. How many demented residents are able to notify staff immediately upon having an incontinent episode? What about the times when several residents need care at once, and staff are pulled in several directions. A goal written with such specificity is like the brass ring for a surveyor. All s/he has to do is find an incontinent resident, mark the time and then wait 30 minutes. Clearly, finding a balance between overly generalized and overly specific is important, but many NACs find it difficult to accomplish. Another common difficulty has arisen out of a very positive change in our industry. The concept of culture change has taken hold, and rightly so. The culture of LTC needed to shift, in many ways. With the culture change movement, trends and fads in care have arisen. These changes may start slowly and spread slowly, or they may make a big “splash” and spread quickly. One such change has been the idea of “I” care plans, or first person care plans. These “I” care plans were developed with the goal of promoting person centered care. The care plans are written in the first person, and some of them tell a story in narrative format, rather than listing out problems, goals and approaches. When facilities have chosen this format over traditional care plan formats, and the interdisciplinary team (IDT) members have been part of the planning process for the change, the format has been successful. The NACs and other IDT members who use these care plans speak eloquently about how their philosophy of providing care has changed as the way they wrote the care plans changed. But when the change is affected from above (by management) or outside (by consultants) without involving the IDT directly, it can cause more problems than it solves. The driving force behind all change should be improving the care we deliver to our residents. Changes that are effected just for the sake of change, or to jump on the popular bandwagon are unlikely to produce the change where it really matters. Regarding care plans, the real issue is making the care plan resident centered. First person care plans can be poorly written and not resident centered. At the same time, third person/traditional care plans can be well written and resident centered. With all of these potential problems, how can facilities get care plans right? Choosing resources wisely is very important. In this budget-conscious environment, it is critical that dollars are spent well. A cheap reference book or software program is not a bargain if it doesn’t significantly improve the care planning process or save time for the IDT. An ideal reference will include automatic updates or web access for easy online updating. NACs should look for books that are specific to long term care, as care planning is often very different in the LTC setting versus acute care or other settings. Facilities should examine their care planning policies and procedures. Consider a policy which states that the physician orders, MARs and TARs are part of the comprehensive care plan. Some facilities have chosen to write care plan approaches that read, “Administer treatment to skin as ordered. See MAR/TAR for orders” instead of specific orders.” This type of approach allows for changes in medications or treatments to be updated on the MAR/TAR sheets without affecting the accuracy of the care plan. Care plan libraries that are built into software should be reviewed to ensure they are in compliance with facility policies as well as any state regulations. Careplans.com is a care planning website that has been around for about ten years. The site has evolved over time, and recent improvements make it a valuable resource for LTC professionals involved in the care planning process. There is an extensive library of care plans which can be downloaded and edited, as well as a collection of documentation and assessment tools. The newest improvement to the site is the Careplan Builder. This feature will be available to subscribers for a modest additional charge. The Careplan Builder allows subscribers to interactively build care plans and save them in a database. The care plans can be saved to a patient profile and exported to Word, Excel or Adobe formats for printing. There are libraries of approaches and goals to choose from, or the user can add his/her own approaches and goals to that profile. The care plans can be written in the traditional format or in the first person “I” format. The Careplan Builder can be used by itself or in conjunction with a subscriber’s current careplanning software. These resources can be invaluable to the NAC and IDT members who are struggling to write care plans which are relevant, useful and will stand up under survey scrutiny. We at Careplans.com and Robintek are committed to providing LTC professionals with the tools needed to deliver the highest quality care to our residents.